The Sedna Light Foundation, saving the world one light at a time! Here at the Sedna Light Foundation we like to give back. We believe in being a proactive charitable organisation and we love to push our limits always a little bit further when it comes to supporting great causes and individuals. We are one of the UK’s leading companies in the lighting sector and we aim to make the best of our expertise and resources to highlight issues and bring solutions to current problems; or in other words, bringing lighting where there’s darkness. Just like our lighting, we believe in sponsoring and fundraising projects that stand the test of time. This means that we give our contribution to several projects around the globe with powerful initiatives that do not end when the money runs out. We aim to establish a chain of positive actions which keeps on creating new opportunities even after our work terminates. We don’t send donations without first knowing where it goes and how it will practically benefit people. We always try to set up realistic targets and be involved in projects that train and nurture the bright minds of tomorrow. We pride ourselves on managing several projects every year as well as acting as an ambassador for various social, political or environmental causes. We can organise small fundraising events to raise money and awareness about a particular cause. We can sponsor an initiative or individual and we can make it fun. Do you want to start a creative lighting project? Are you fundraising for an amazing cause and need help? Or do you just have an awesome idea and would like to tell us all about it? 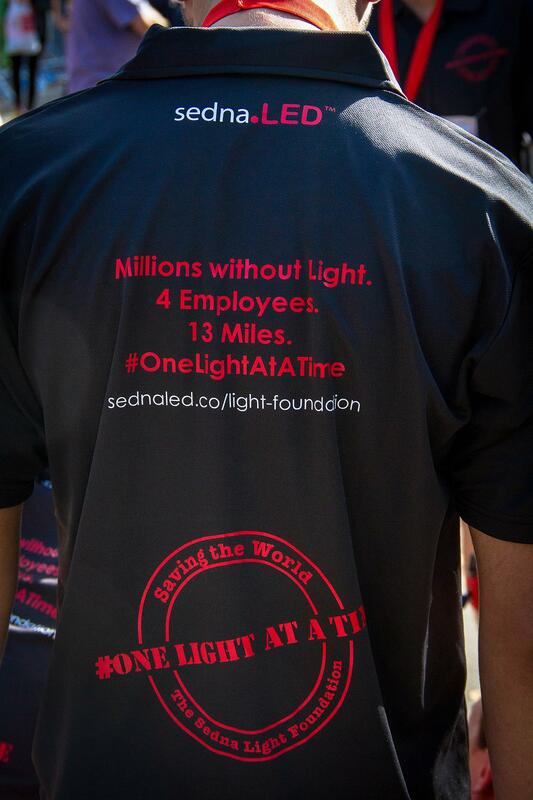 Make sure you send us an email (info@sedna.lighting) to find out how our friendly PR team can help get your message out there; or keep an eye on our hashtag on Twitter, #onelightatatime, to find out more about our latest projects. We partnered with product design graduate Graham Scutt from Cardiff Metropolitan University to develop an emergency light for Zambia which has the potential to save many lives. You can read more about the project by clicking here. 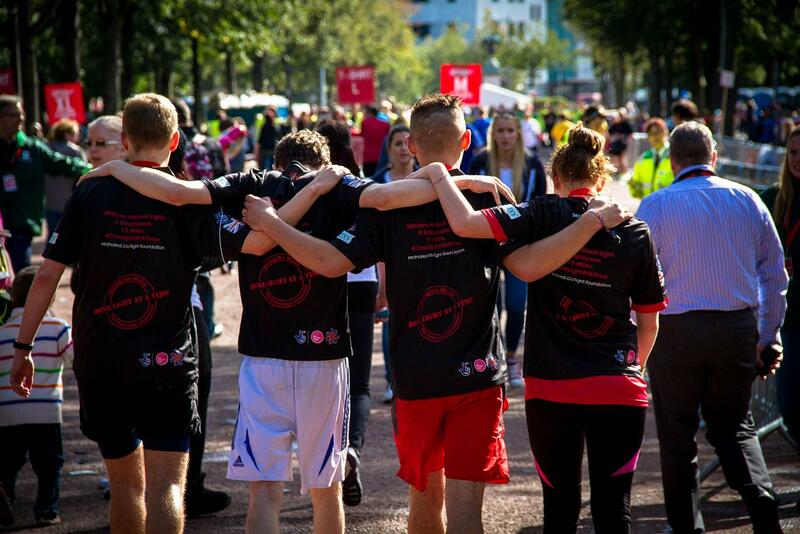 Sedna ran the 2013 Cardiff Half Marathon to raise funds for the The Sedna Light Foundation. The marathon was part of an exciting government initiative to boost employees’ morale and general health. 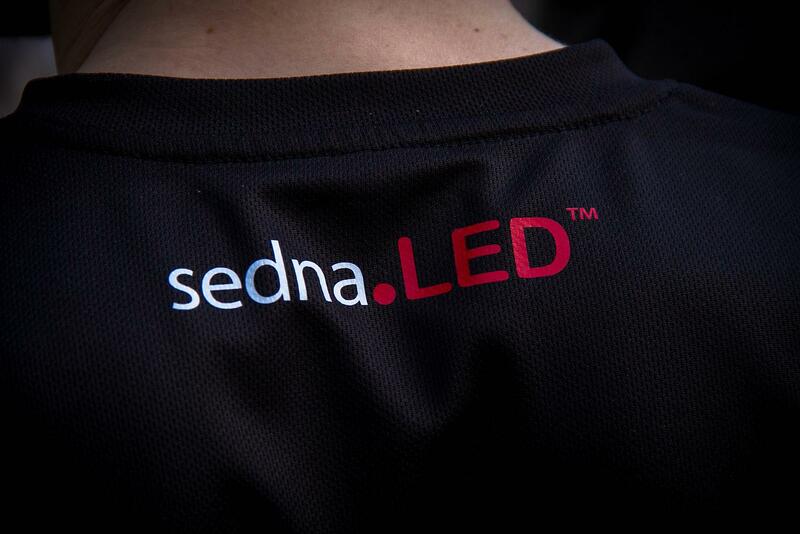 Sedna funded new running shoes and entrance fees for the race for willing employees and raised funds to support the foundation’s upcoming projects. You can read more about the marathon by clicking here.